Great strides have been made in increasing performance and decreasing sensitivity in energetic materials since the first commercialization of nitroglycerine (NG) in the form of dynamite in 1867 by Alfred Nobel. However, the high energy manufacturers continue to rely on traditional chemicals to meet their needs. New energetic materials must be developed to extend their capabilities and handling capabilities. The new materials which have been prepared recently have led to new possibilities. Important advances have been made especially in the area of high-nitrogen compounds, organic difluoramine derivatives. Computational simulations have also led not only to a greater insight into the basic thermodynamics and kinetics of these materials but also their practical behavior in the field. 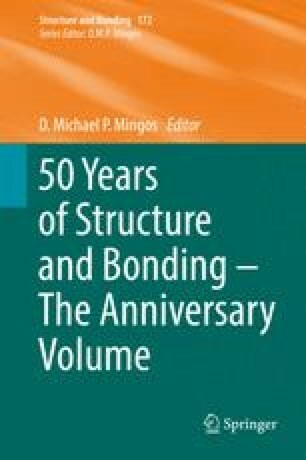 This chapter summarizes new developments that have been achieved since Volume 126 of Structure and Bonding, which was published in 2007 and gave a comprehensive review of the field. Since the book “High Energy Density Materials” was published in 2007 [Structure and Bonding, Vol. 125/2007: High Energy Density Compounds, T. M. Klapötke (vol. editor), D. M. P. Mingos (series editor), Springer, Berlin/Heidelberg, 2007], significant advances have been made especially in the area of high-nitrogen compounds, organic difluoramine derivatives, and computational simulations. Financial support of this work by the Ludwig Maximilian University of Munich (LMU), the US Army Research Laboratory (ARL), the Armament Research, Development and Engineering Center (ARDEC), the Office of Naval Research (ONR) under grant no. ONR.N00014-12-1-0538, and the Bundeswehr–Wehrtechnische Dienststelle für Waffen und Munition (WTD 91) under grant no. E/E91S/FC015/CF049 is gratefully acknowledged. The authors acknowledge collaborations with Dr. Muhamed Suceska (Brodarski Institut, Croatia) in the development of new computational codes to predict the detonation and propulsion parameters of novel explosives. We are indebted to and thank Drs. Betsy M. Rice and Ed Byrd (ARL, Aberdeen Proving Ground, MD) and Dr. Anthony Bellamy for many inspired discussions and their help preparing this chapter.